Builder's Academy was founded in 1992 by Bryon A. Parffrey on a single premise: To help people just like you to "Build on a Solid Foundation ®" with Education 1st with knowledge and understanding. Bryon's vision of teaching those wanting to manage and build for themselves or enter into the building profession. Individuals and family’s planning and building their own dream homes and not just handing there plans to a builder hoping and trusting it will be built with passion or quality. Builder’s Academy provides a wide range of building and construction services including training, building consulting, home inspections and much more! Have a question about how to start a new career as a professional building inspector? Call us today! Our training programs include both classroom, online and home study programs. 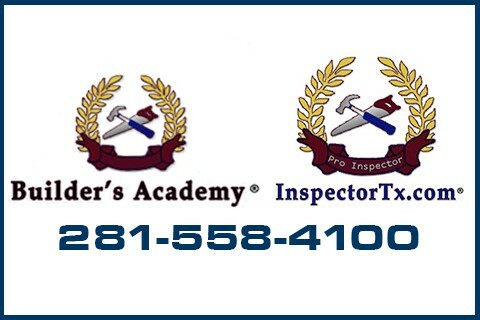 We cover professional inspector training, Real Estate inspector training, energy auditor training, Texas Real Estate training, home builder training and new classes are being added all the time.